Bourgeois, M and Richards, I.S.2013. Expression of Myoglobin in the Urine of Cocaine Users. International Journal of Clinical Medicine, 4, 217-221. Richards, I.S., and Bourgeois, M. 2010. Red tide toxin produces in vitro depolarization of human airway smooth muscle. Clinical Toxicology 48, No. 2, 121-123. Richards, I.S., and Bourgeois, M. 2009. The Toxicologist As An Expert Witness. 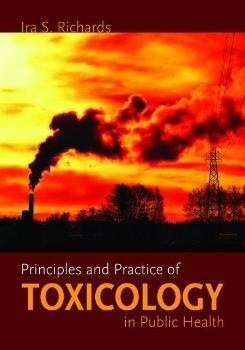 General and Applied Toxicology (Third edition). Wiley-Blackwell. Elfeel, K., Shenefelt, P., Farghaly, H., Richards, I.S. 2008. A Correlation of Allergic Contact Dermatitis with Allergen Type and Patient Categorical Variables. Cutaneous and OcularToxicology, 27:1-22. Richards I.S., DeHate R.B. 2006. Formalin Produces Depolarizations in Human Airway Smooth Muscle in vitro. Toxicology and Industrial Health. 22, 59-63.